Striker Suk Hyun-jun has signed a contract with Stade de Reims in France's top-tier Ligue 1. Reims said on Thursday Suk will play for the French outfit for four years under the contract. 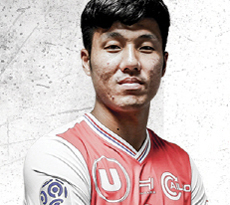 Suk, who had spent a long time playing for various clubs on loan, is now able to settle in his new team, the 11th team so far.